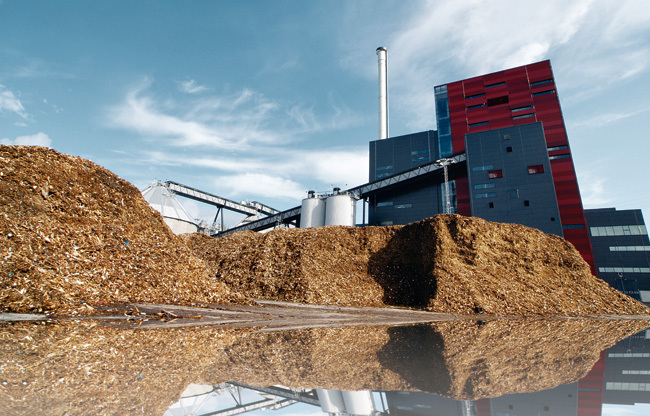 The support of electricity generated from solid biomass is the most important stimulation for the development of the biomass power plant market. Whereas biomass subsidisation schemes have recently also experienced positive amendments in Europe, Asian countries are currently reducing this kind of support for the first time. This is one of the results of a new ecoprog market analysis. In 2018, the number of biomass power plants (BMPPs) increased again by about 300 facilities. Today, there are about 3,800 BMPPs with an installed capacity of around 60 GWel. Subsidies for renewable energies (RE) are the most important factor driving the BMPP market, especially in Europe. The markets in South and North America as well as in many Asian countries are rather stimulated by fuel availability; however, RE subsidies are an important factor for the development of new capacities in these countries as well. Some of the European biomass support schemes are more than 20 years old. Therefore, many such systems have been reduced and rather geared towards competitive mechanisms in the past years. Attractive subsidisation terms remain in place in China and India, the countries with the strongest growth potentials. In 2018, India additionally introduced a nationwide support scheme for building biomass CHP plants (based on grants for the plant construction). From a global perspective, biomass electricity subsidisation continues to promote the market development for the construction of BMPPs. Until 2027, the worldwide market for BMPPs will thus remain on its dynamic development path. We expect the construction of about 1,900 additional biomass power plants with an installed capacity of around 25 GWel. 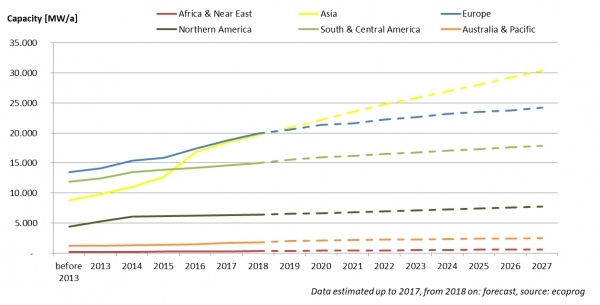 About 50% of this growth will be realised in Asia, especially in the two lead markets China and India. Also, North and South America will remain attractive markets for electricity generation from solid biomass, and particularly their lead markets Brazil, Canada and the U.S.